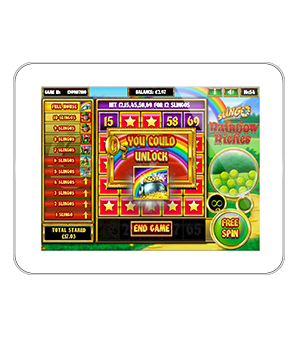 The Joker meets the Leprechaun in Rainbow Riches, Slingo makeover. 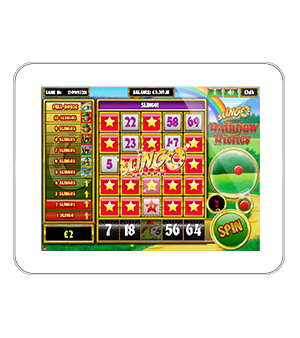 Players favourite slot combined with the traditional Slingo grid is definitely a masterpiece ready for ground-breaking gaming. 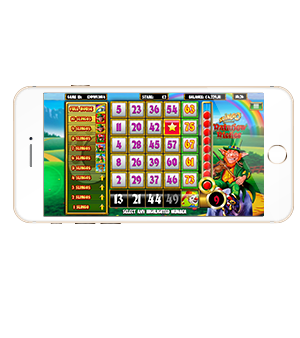 The slot is bursting with all the well-known features of the original Rainbow Riches, along with some extra’s for fast-paced, big win gaming. 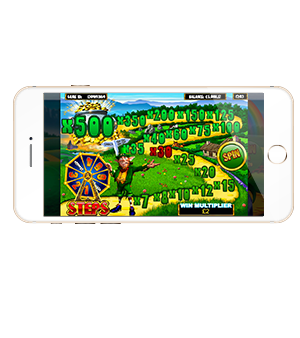 CASH CROP: 50 coins will be spinning, once they stop they will reveal the multiplier that the player has won. 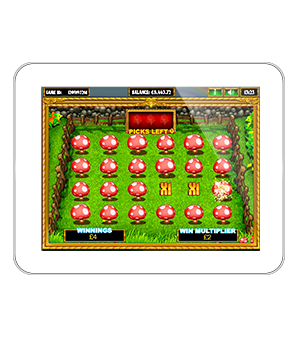 MAGIC TOADSTOOL RED: Pick 4 Toadstools to reveal a winning value or a fairy. A fairy will give another 4 goes. 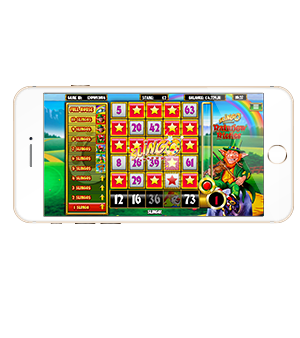 POTS OF GOLD: Gold, Silver and Bronze pots will spin and come to a stop, landing on the prize won.